I have so many spices to check out it is insane. That’s what happens when you run a food review blog. I open a new one every time I do a meal. Tough, because some are so good I want to use them again. 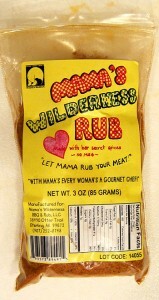 That is going to be the case with Mama’s Wilderness Rub. Mama’s is a small company located in Sterling, Alaska. I rubbed the NY steak with Mama’s, hitting it on all sides. Then I grilled it at a fairly high temp. I put quite a bit of the rub on, and was hoping that I didn’t put too much. As it turned out, the rub is very good and not overpowering. It was just right. The rub seemed to make the steak even more juicy somehow. 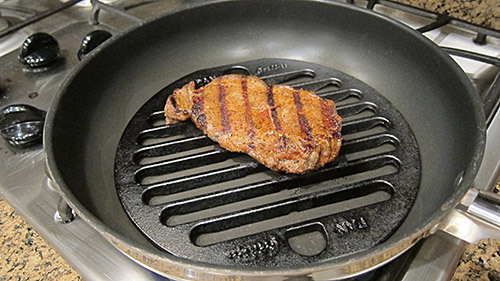 The flavor was mild and enhanced the meat’s natural flavor extremely well. The wife and I loved the taste and will surely have Mama rub our meat again very soon.